RMK Medicated Skintuner Conditioner is new product for AW2015. Seems they changed aging care line to this. Seems this is damaged skin. They recommended to use cotton or your hands to apply. Because there are no keratin care product, you do not need to wipe by cotton. 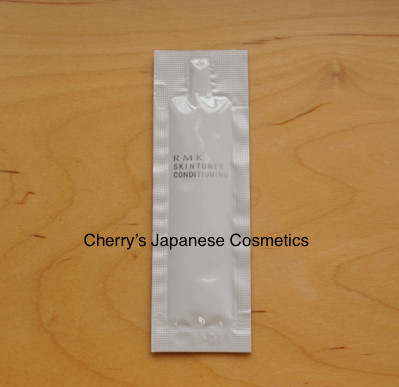 When you wanna use cotton, please “put” softly, this is good for cotton pack/ lotion pack. Previously RMK was used “foods” like yogurt or something. To be honest, it is not pretty much nice image for me in person. In this formula, it is for rough and dry skin. OH! My skin is not rough, but dry. I hope it is good for me. It is including Niacin Amid and Glycyrrhetinic Acid, and they are going to care problems. I found the rosewood perfume, and as RMK insists it is the image for “woods”. Awake herbal line is the image of therapeutic walk in the forest, and I love it, but to be honest, but Awake is too strong for me. This RMK is not pretty much strong like Awake for me, and there are no sting. I felt my skin was well moisturized. Nice! As other RMK Skintuner, you do not need apply something to wrap, but I guess this is also oilless. Totally to say, I am not pretty much sure that it is good for when my skin is rough. I guess this is good for dry skin, but if your skin is dry because of oilless, I guess you need to apply something oily too. Please check the latest price, and order from here: “RMK Skintuner Conditioner”.